A new report from the Alzheimer’s Association reveals the staggering cost of that illness and other dementias, while an accompanying study emphasizes the personal benefits and long-term cost savings of an early diagnosis. The report also cited a sharp increase in Alzheimer’s deaths – 123 percent – even as deaths from other major causes decrease. Specifically, the association’s 2018 Alzheimer’s Disease Facts and Figures Report, released on March 20, says that for the second consecutive year, total payments to care for people living with Alzheimer’s or other dementias are projected to surpass a quarter of a trillion dollars ($277 billion, not including unpaid care). That represents an increase of nearly $20 billion over 2017. An accompanying special report, “Alzheimer’s Disease: Financial and Personal Benefits of Early Diagnosis,” highlights new economic modeling data indicating early diagnosis of Alzheimer’s during the mild cognitive impairment (MCI) stage of the disease could save the nation as much as $7.9 trillion in health and long-term care expenditures. The report also highlights personal benefits of early diagnosis for individuals and families. New findings from the Facts and Figures report show the growing burden of Alzheimer’s on people living with the disease, their families and caregivers, as well as society at large. The number of older Americans is growing rapidly; so, too, is the number of people living with Alzheimer’s and the subsequent impact to the nation’s economy. By 2050, the total cost of care for Alzheimer’s is projected to increase to more than $1.1 trillion. Mortality from Alzheimer’s disease continues to rise. While deaths from other major causes continue to decrease, new data from the report shows that deaths from Alzheimer’s disease have more than doubled, increasing 123 percent between 2000 and 2015. For context, the number of deaths from heart disease – the number one killer in America – decreased 11 percent. The Facts and Figures report explains how the identification of biological markers, or biomarkers, for Alzheimer’s will be critical to improving disease diagnosis and researching treatments that may prevent or delay the onset of clinical symptoms, such as memory loss, confusion, and difficulties carrying out routine day-to-day tasks. According to the news release from the Alzheimer’s Association, Alzheimer’s biomarkers are transforming the way that researchers and physicians understand the disease, from one based on symptoms to one based on changes in the brain. Individuals no longer need to be diagnosed with Alzheimer’s only after significant damage is already done to the brain. Instead, due to awareness of Alzheimer’s and recognition of early symptoms, as well as the development and approval of beta-amyloid imaging biomarkers, Alzheimer’s diagnosis can occur earlier in the disease process than ever before, such as in the MCI due to Alzheimer’s stage of the disease. Earlier diagnosis was also associated with greater per-person savings. 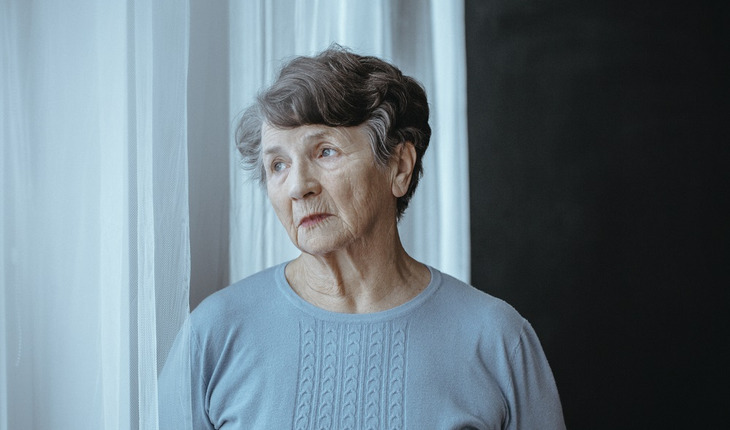 The new modeling data indicates that in today’s environment – in which diagnosis usually occurs in the dementia stage, if at all – the projected health and long-term care costs of an individual with Alzheimer’s is $424,000. Under an early diagnosis scenario in which an individual has a greater likelihood of being diagnosed during the MCI stage, the average per-person cost is projected to be $360,000 – a savings of $64,000 per person. Accurate diagnosis can help determine if cognitive changes are truly due to Alzheimer’s or some other – perhaps even treatable – condition. Medical benefits – early diagnosis allows individuals to adopt lifestyle changes that may help preserve their existing cognitive function for as long as possible; interventions include controlling blood pressure, smoking cessation and exercise. Participation in clinical trials– Early diagnosis makes it possible individuals to enroll in clinical trials that advance research and may provide medical benefits. Planning for the future – Early diagnosis provides more time for individual to plan for the future while they are cognitively able to make legal, financial and end-of-life decisions. Emotional and social benefits –Early diagnosis provides individuals with an opportunity to maximize time spent engaging in meaningful activities and interacting with the most important people in their lives. It can also open doors to many educational and support programs. By 2025 – just seven years from now – the number of people age 65 and older with Alzheimer’s dementia is estimated to reach 7.1 million – an increase of almost 29 percent from the 5.5 million age 65 and older affected in 2018. .
Nearly half of all caregivers (48 percent) who provide help to older adults do so for someone with Alzheimer’s or another dementia.Approximately two-thirds of caregivers are women, and one-third of dementia caregivers are daughters. It is estimated that the U.S. has approximately half the number of certified geriatricians that it needs, and only nine percent of nurse practitioners report having special expertise in gerontological care.